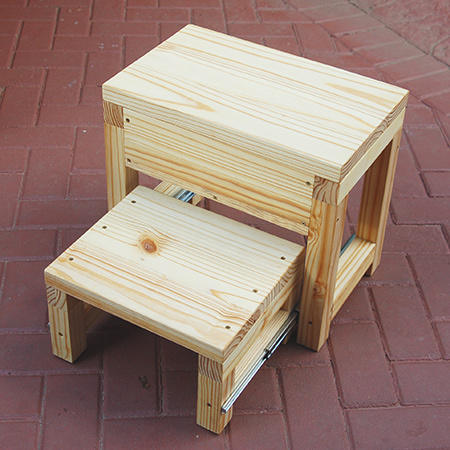 If you like our Step Stool - Toolbox but don't have time to make your own, now you can buy one online. 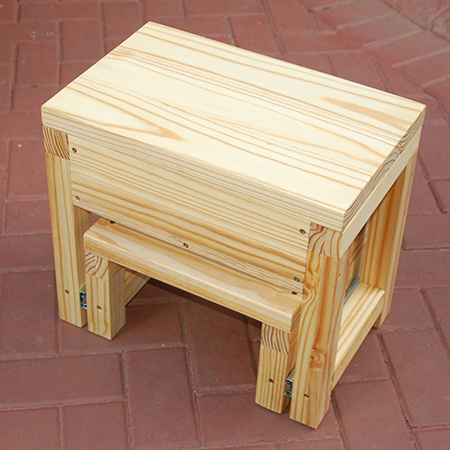 The step stool - toolbox can be purchased untreated (raw pine) or stained in teak or imbuia stain and finished with exterior sealer. 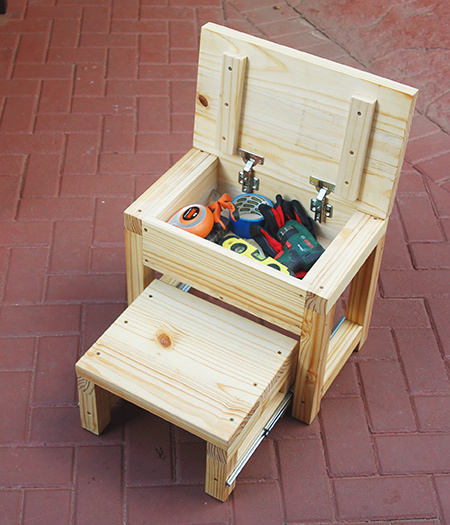 The Step Stool - Toolbox has a step that easily slides in and out, and a lid that opens to reveal a generous storage compartment for tools and supplies.